A delicious Sauv-Sem blend from South Africa. 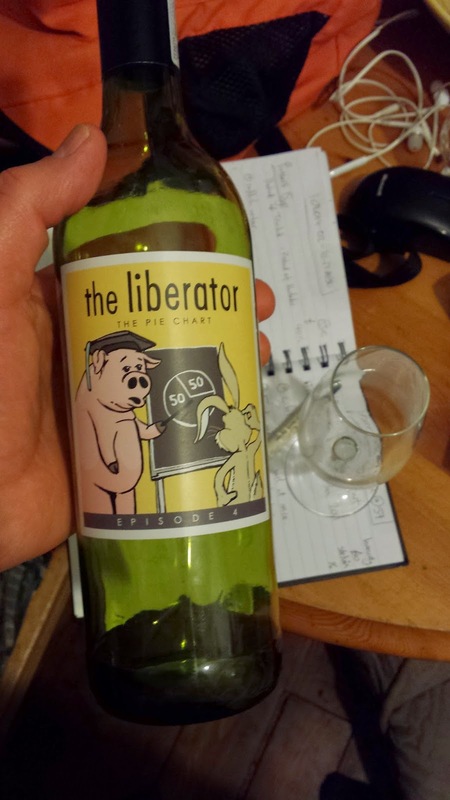 I'm posting it here, not as a recommendation, because it was a one-off limited release of less than 5000 bottles, but by way of saying that if you see something else by the Liberator, you should probably grab it. It was a rich, nutty-into-grapefruity wine, with a wee bit of frangipane about it too. Excellent. Details here, and background on The Liberator here.